This Irish blanket comes rolled in the included tote handle that is complete with Velcro tabs. This shamrock throw blanket features soft black fleece with scattered green shamrocks along with green fleece binding on all edges. 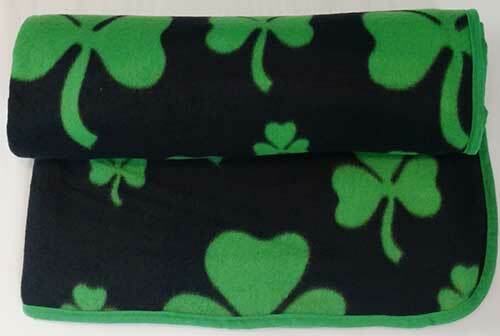 The double sided Irish blanket measures 50" wide x 60" long. 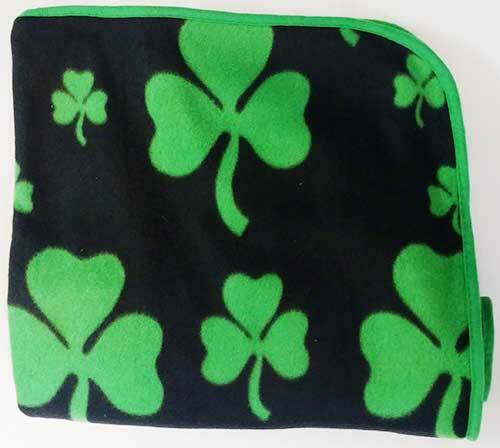 The Irish throw is imported; it is received with a shamrock history card, complements of The Irish Gift House.